Health research in BC is complex. Research is underway at academic institutions, health authorities, research centres, corporations and not-for-profit organizations. There are few mechanisms to reach these diverse audiences, and no clear picture exists of health research strengths and areas of need. This is familiar terrain for Signals. 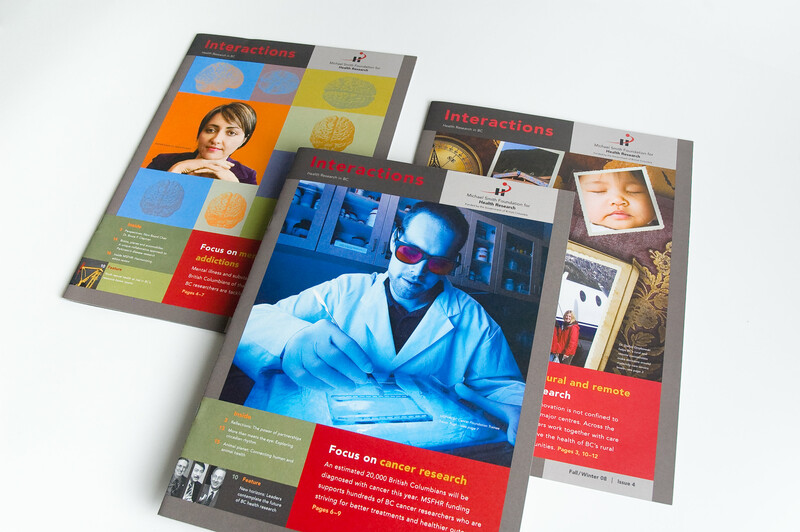 In fact, it was our understanding of health research audiences that led Michael Smith Foundation For Health Research to choose us as a creative partner through a competitive process in 2007. In the years that followed we branded the organization and worked on a variety of applications and reports to support the MSFHR communications team. When we started to work with MSFHR on implementing their new strategic plan in the fall of 2014, the organization had grown considerably. With an extended community of more than 1,500 funded researchers, 65 research teams, and dozens of partners, MSFHR is at the centre of many great stories. Our search for a way to share these stories focused our work on two streams: narrative and medium. MSFHR required clear, modern communications tools that reflect the thought leadership and pursuit of excellence for which they are known. The immediate priority was their website: it looked dated and was struggling to meet the evolving needs of the organization. 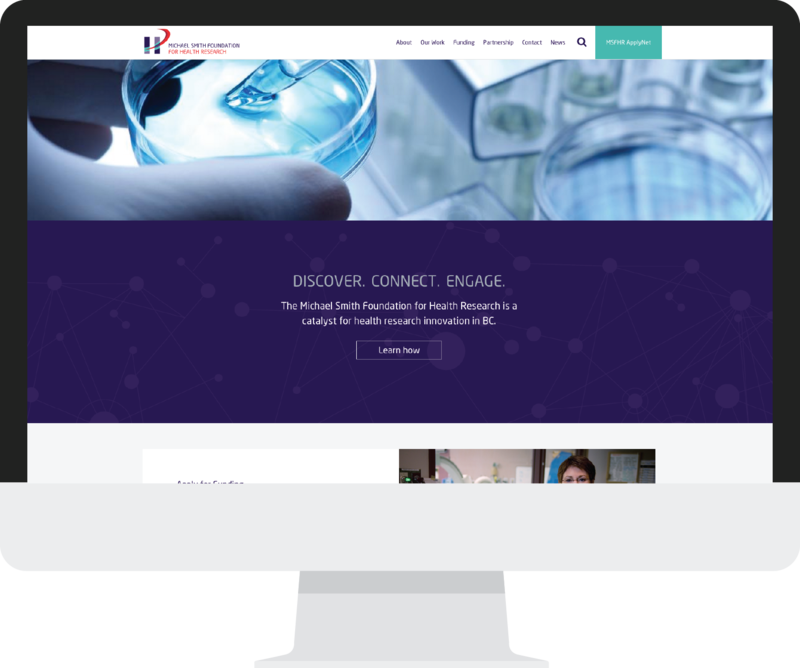 To address the pressing operational needs, we worked with the MSFHR team to redevelop the site. As part of improving the user experience, we refined the information architecture to direct visitors to strategic areas such as mission, work and research funding opportunities, including an online application. Our design built on contemporary typography and full-width photography to create a site that clearly conveyed MSFHR’s leading-edge vision. Moving from the website to e-communications, we noted that MSFHR had built up a substantial mailing list and their monthly eNewsletter, Connections, provided stakeholders with regular news and updates. We saw the mailing list as a huge opportunity to reach the broad audience of the research community. However, in order to leverage it, we needed more than an email newsletter – something that would allow us to dig deeper into the stories of individuals, institutions and issues that are making a difference to health research in BC. 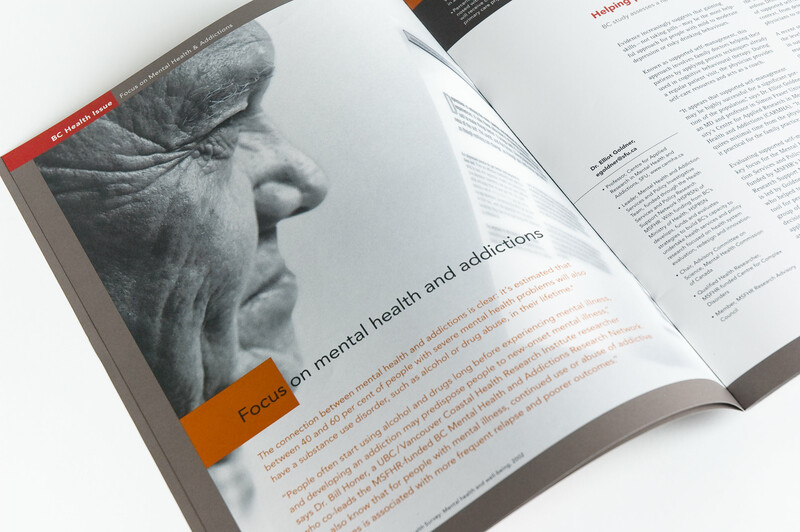 Our solution was to create Spark, a new quarterly digital publication that would complement Connections. Rather than reporting on news and updates, each issue of Spark would put a thematic lens on high-impact topics affecting health research in BC. For the first issue, Signals worked with MSFHR communicators to develop compelling digital narratives – bringing researchers and their work to life through multimedia, data visualization and interaction. A departure from the usual, the design introduced a way to bring the editorial spirit front and center and engaged visitors with unexpected, almost playful ways of sharing information. The new visual language of Spark would help influence the brand identity in other areas of the organization. It was clear that there were several opportunities for its application across print and digital publications. On February 5, 2015, Spark was on display at the Digital Health Collaboration Forum, convened by MSFHR, in partnership with the Canadian Institutes of Health Research and the Yukon government. More than 130 participants – representing research, health care, industry, government and lived experience – attended the one-day forum to talk about digital health needs and opportunities in BC and the Yukon. With its focus on connecting individuals outside their typical networks to accelerate digital solutions to some of health care’s most urgent issues, the event confirmed MSFHR’s pivotal role in health research planning and action in BC. Presented at the forum, Spark demonstrated another aspect of technology’s role in the pursuit of digital solutions for health care. Innovative and sustainable, Spark enables MSHFR to reach out and communicate with BC’s large and diverse research community. And by leveraging the power of digital technology to keep research stories fresh and exciting, Spark points the way to keeping researchers and funders alike connected and engaged. We understood that to reach and engage the diverse research community, the MSFHR needed more than just another newsletter. 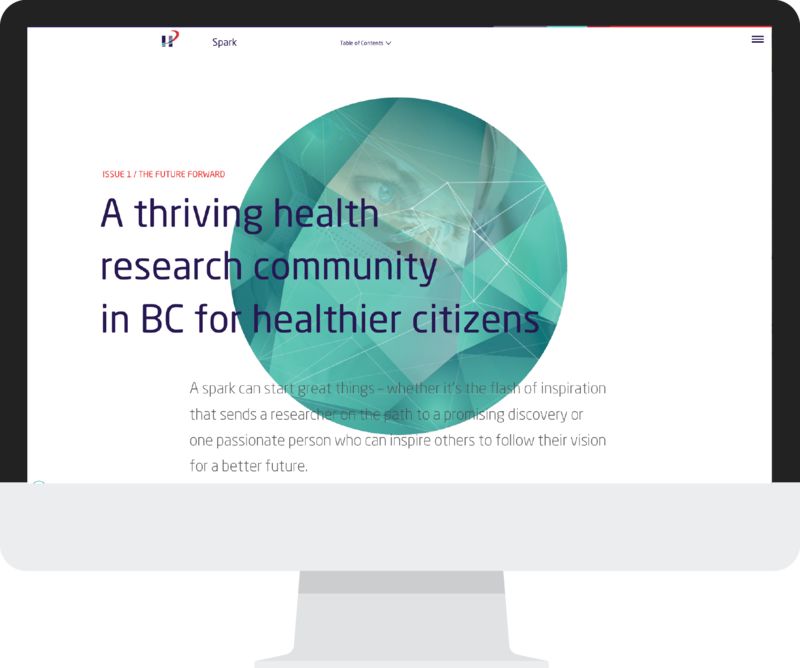 So, we developed a dynamic, online communications tool that would allow us to dig deeper into the stories of individuals, institutions and issues that are making a difference to health research in BC. 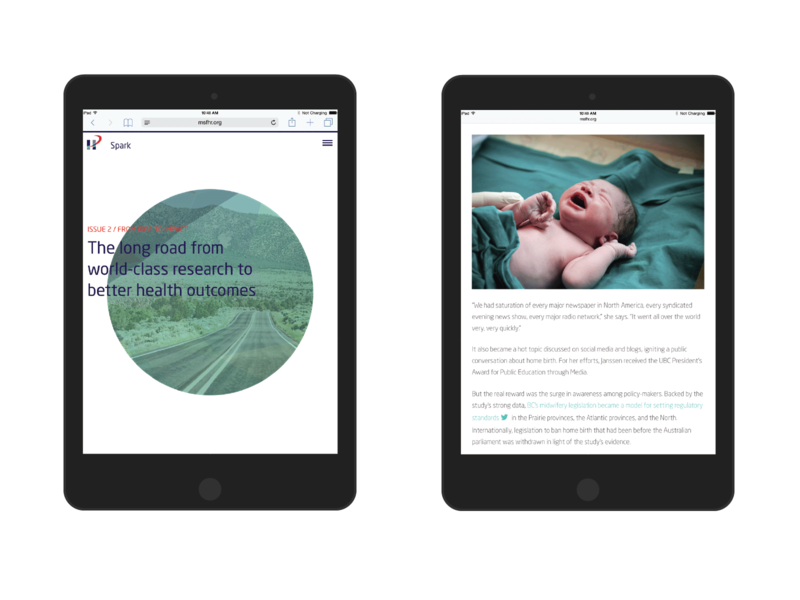 Our solution, Spark, a new quarterly digital publication, uses digital narratives to deliver in-depth explorations of high-impact topics affecting health research in BC. 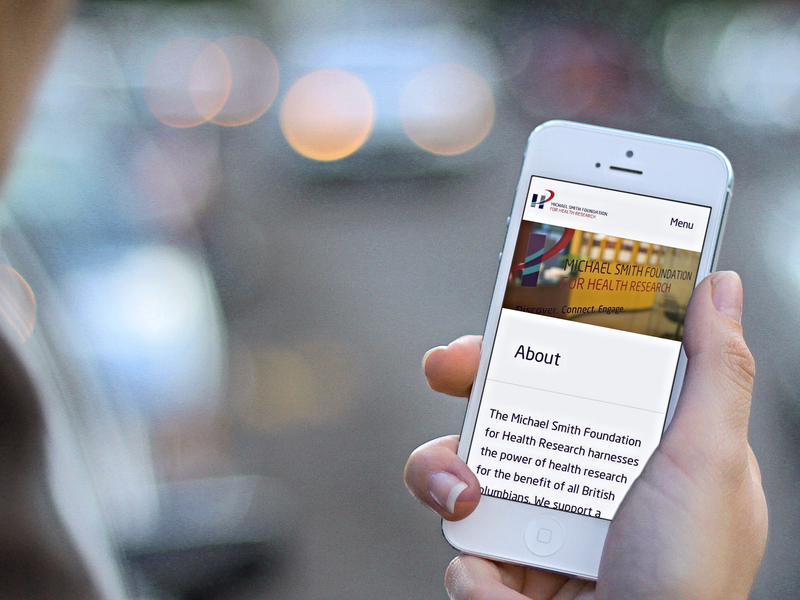 MSFHR has seen a 225% increase in site traffic including a 1300% increase in mobile visits.